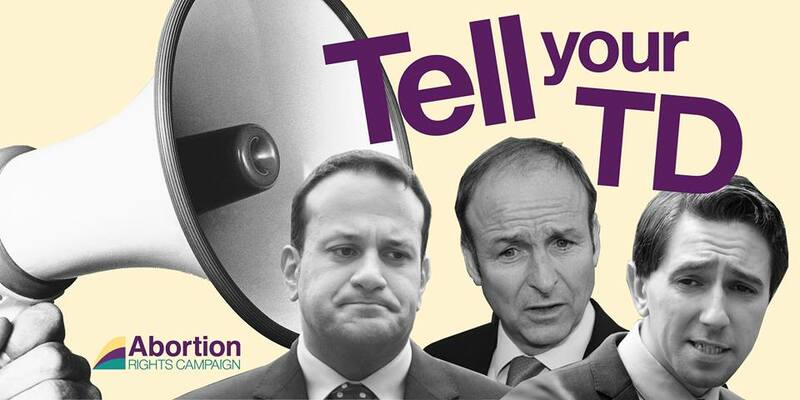 Over the coming days and weeks, as the Dáil debates legislation outlining how abortion services will be provided in Ireland, it will be more crucial than ever to get out and talk to your TD about why we need Free Safe and Legal abortion services for anyone who wants or needs them. We’ve put together some useful information to help you with this. The Abortion Rights Campaign (ARC) works to achieve Free, Safe and Legal abortion care in Ireland with no time limits or gate keepers. We believe that pregnant people should have the same right to make decisions about their own lives and bodies as the rest of the population, including the right to choose and refuse medical treatment. Any abortion law adopted by Government must reflect this basic right. We want services that are accessible to everyone without barriers or stigma. What is meant by Free Safe Legal? Doesn’t endanger women’s health with vague non-medical criteria like “serious risk” to health. Maybe you live in a rural area with limited access to GP care – your TDs need to know that it’s not acceptable for you to be refused care or denied a referral by your local GP if they happen to be anti-choice. Maybe you have a disability and the three-day wait would be an especially difficult barrier for you (Disabled People Together for Yes outline some of these issues here). Maybe you are trans or non-binary and are concerned that your access to abortion care might be affected by the Bill not being in line with the Gender Recognition Act. Maybe you are a member of a community whose access to medical care is compromised anyway, and you need assurances that the Bill will guarantee you the care you need when you need it. Maybe you have a health condition and are unclear if the Bill’s reference to ‘serious risk to health’ would enable you to access abortion care, if needed, after the limited 12-week period. We know from the referendum that politicians pay attention to us when we tell them our stories and our experiences. If you are comfortable telling your TD specifically how the restrictions in the Bill would affect you, please do so. Those who oppose autonomy and choice will certainly make themselves heard. Don’t let them be the only voices in the conversation! For the biggest impact, ask for a meeting for a longer conversation, or visit them during their office hours. Bring a friend! Remember, we elect TDs and pay their salaries! They are accountable to us.